Why, Bernie, I think that would be the "not" part. Yep, definitely a new one to our ears. Despite the gawd-awful collection of color schemes, it is a fine looking present in there. 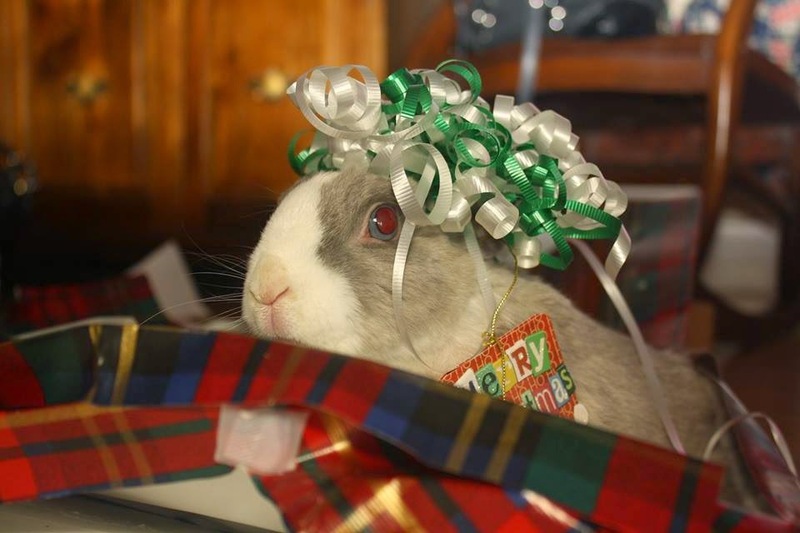 Bernie Bunny is an adorable present! I am glad he put up with this nonsense so we could see him.